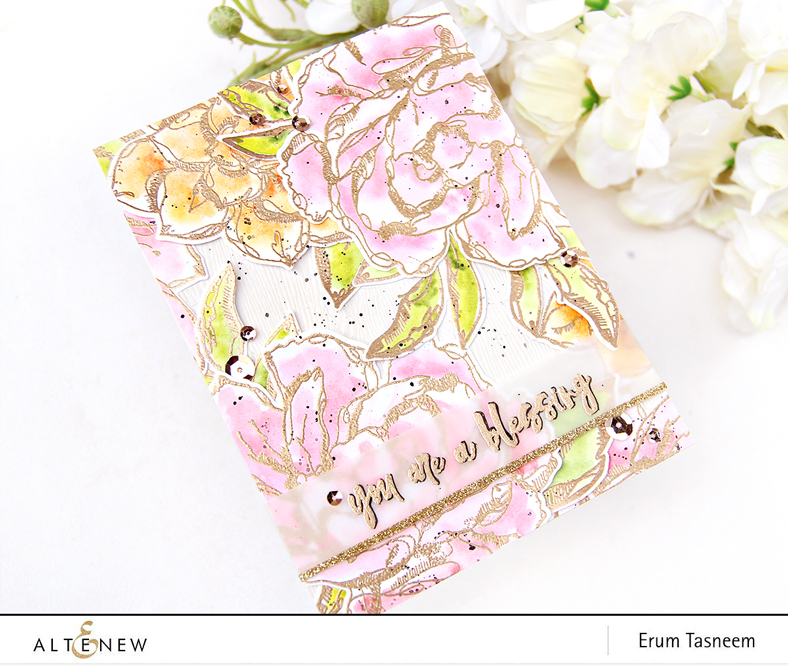 I have a new card to share at the Pinkfresh Studio blog. Please email winner@altenew.com by 10/30 to claim your gift certificate. I have a new post to share at the Altenew blog. 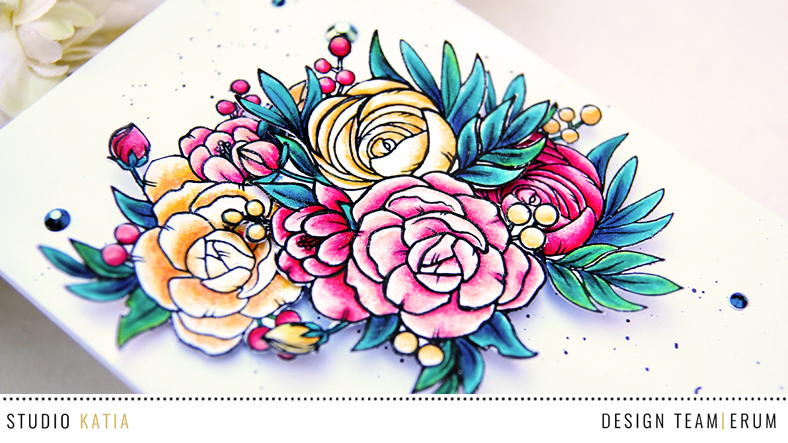 Welcome to Pinkfresh Studio's October release. 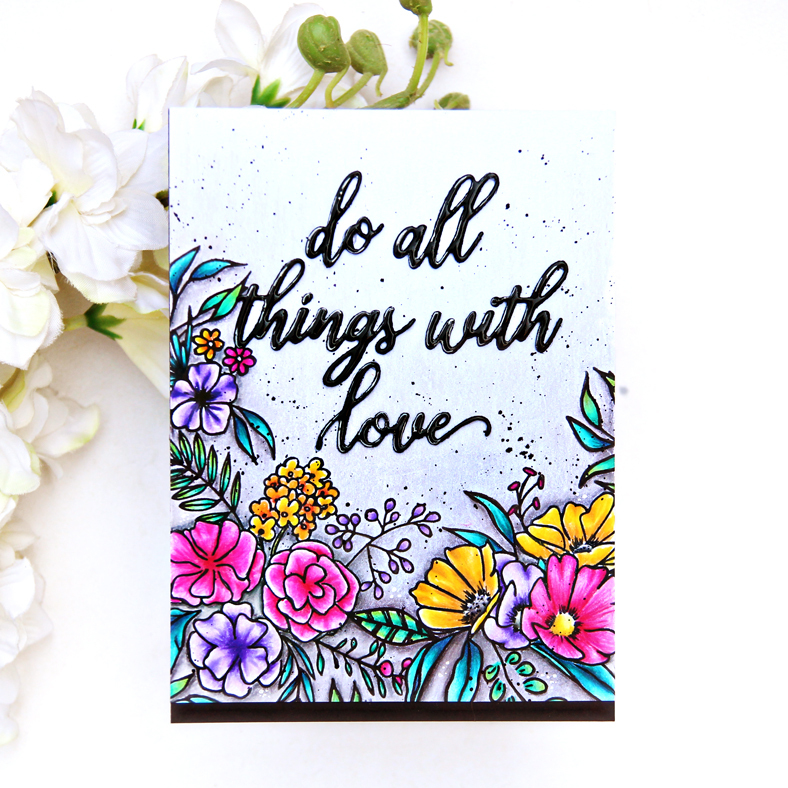 The card that I am sharing today features the Fancy Blooms Stamp Set and Do All Things With Love Die. 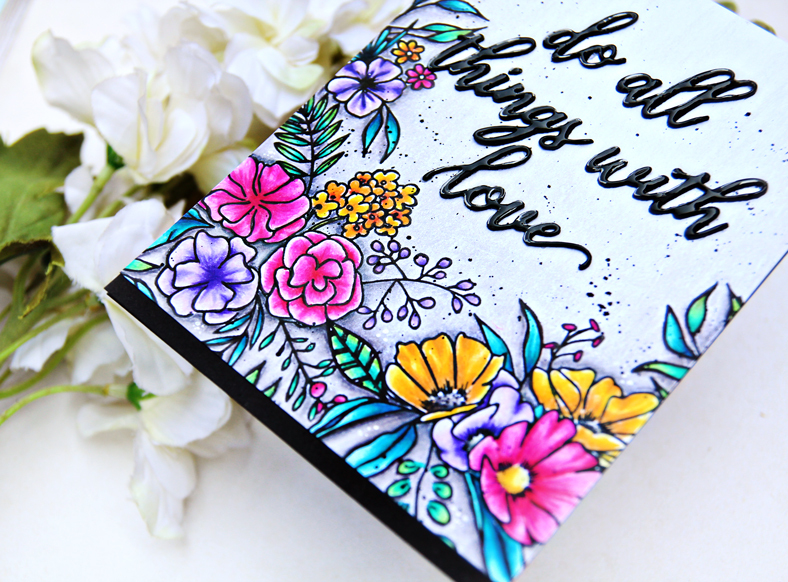 I stamped the flowers in a way to create a border. I coloured the image and the background with Prismacolor pencils. 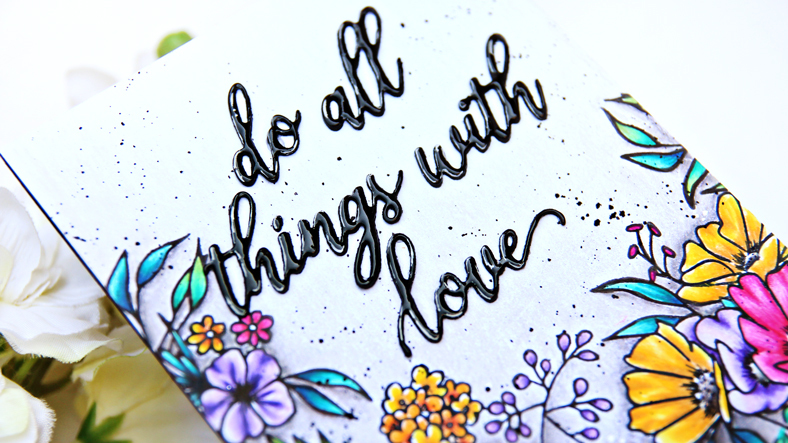 I tried to keep the background darker where the floral border is which goes lighter as we move up toward the sentiment. 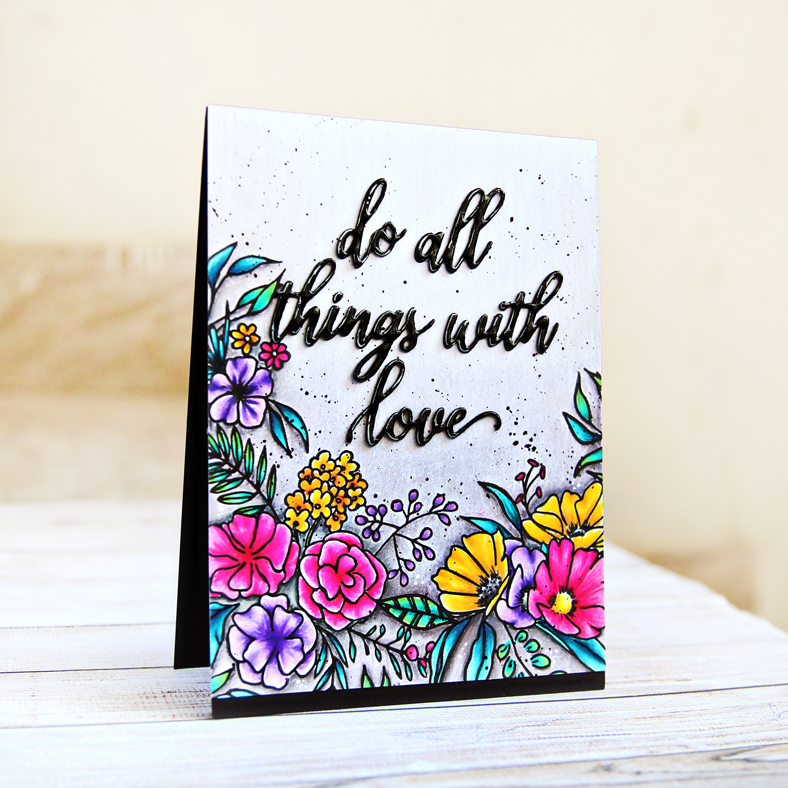 When I was done colouring, I added a few black splatters and then popped up the die cut as my sentiment. This, I covered with glossy accents. The Pinkfresh Studio blog will be giving away the entire October release to one lucky commenter. So don't forget to leave a comment on the Pinkfresh blog. I will be giving away a $25 gift card to one of you. All you have to do is leave a comment on this post. All winners will be announced on the GIVEAWAY PAGE on October 14th. Free HUGS die with purchase - the order must include something from the new release. This die is exclusive to this release promo, and will not be sold later. It is free while supplies last, and you don’t need a code. Free/discounted shipping from October 8th-October 11th on orders $50+. You must use the code OCTFREESHIPWITH50. Shipping is free in the USA, and $5.50 off for our International friends. Today is a day filled with fun & crafting, and we are excited to be joining in on all the festivities! 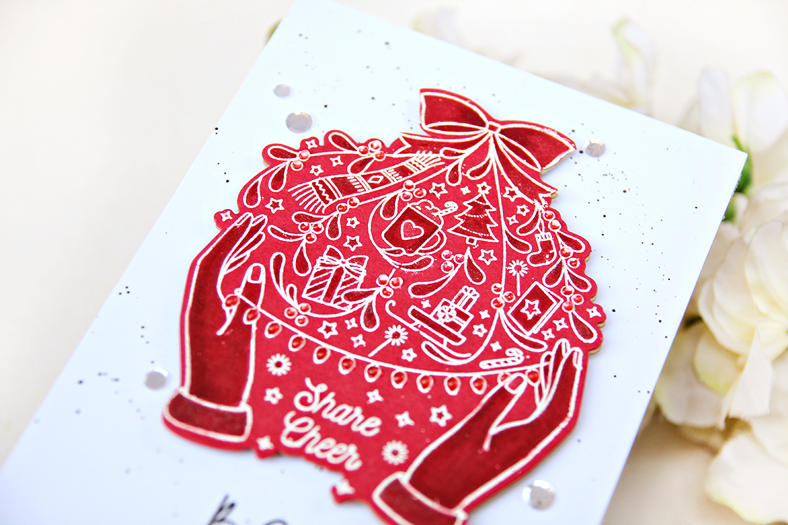 Today we’ve chosen to reveal a very special stamp & die set called, “Share Cheer”, that is available for purchase now! 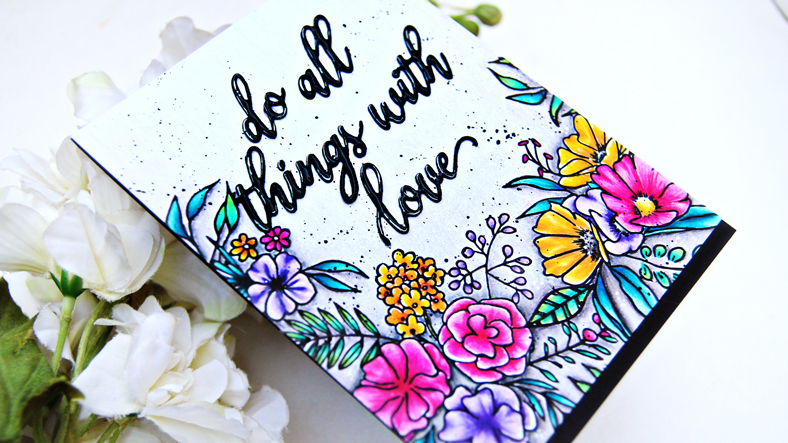 Love how sweet this stamp is! 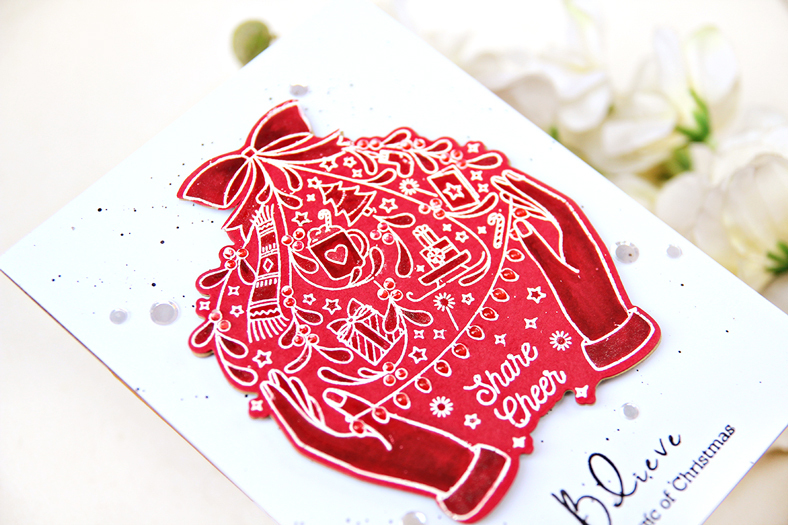 I kept my card super simple by heat embossing the image in white and then adding a slightly darker shade of red to some parts with an alcohol marker. 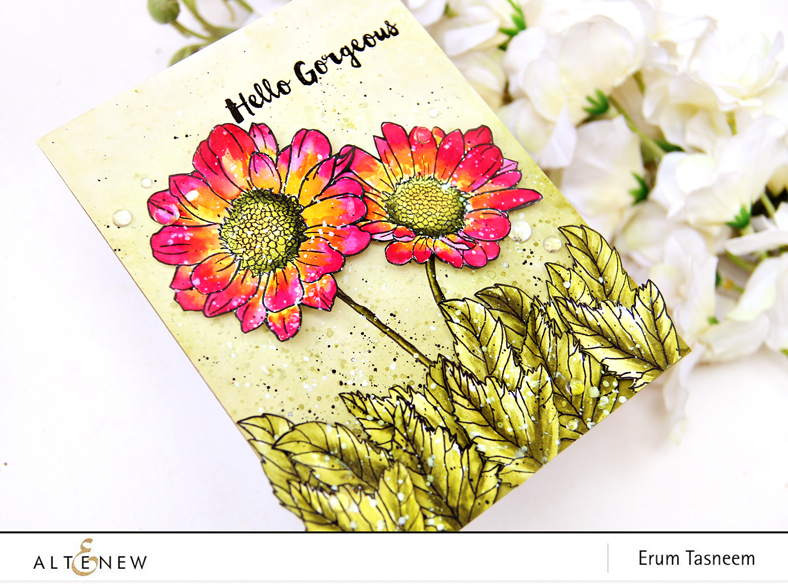 I also added a lot of shimmer from the Nuvo Shimmer Pen and then added bits of clear Nuvo drops. 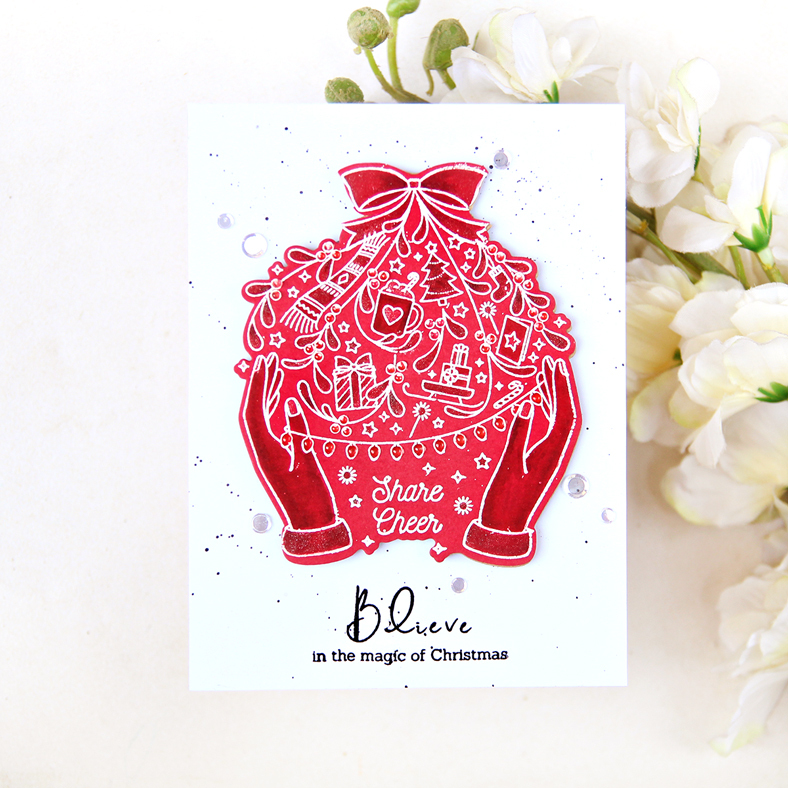 When you purchase this stamp set, 100% of the net profits will benefit UNICEF. We chose this organization because they help children and operate in more countries than any other humanitarian organization. UNICEF works in 190 countries and territories and in the world's toughest places to reach the children and young people in greatest need. You can learn more about what they do HERE. Winners will be announced on Sunday, October 21st on the following GIVEAWAY PAGE. Please make sure to check the giveaway page and claim your prize within TWO weeks. 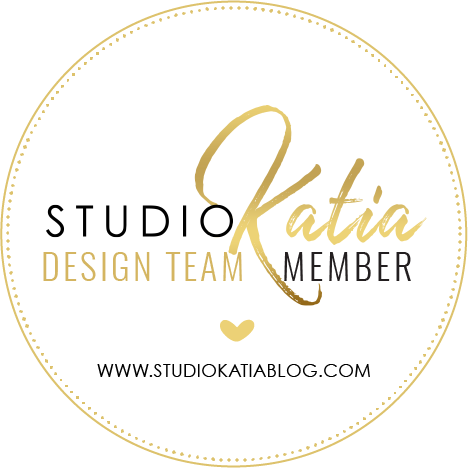 You must be here from Vicky Papaioannou's blog. 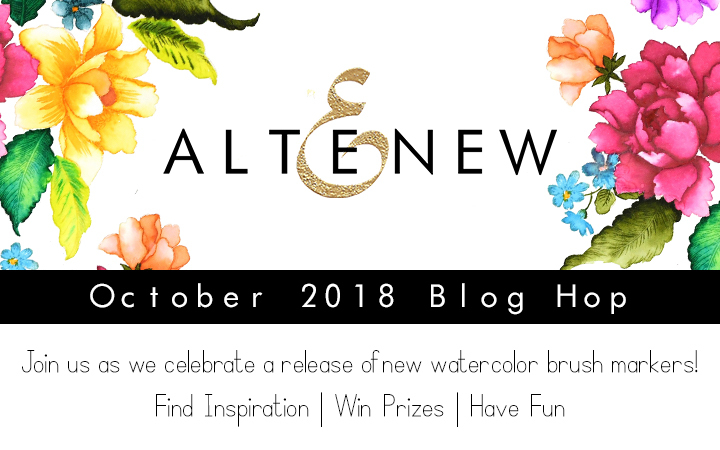 Super excited to introduce another colouring medium by Altenew, watercolour Brush Markers! 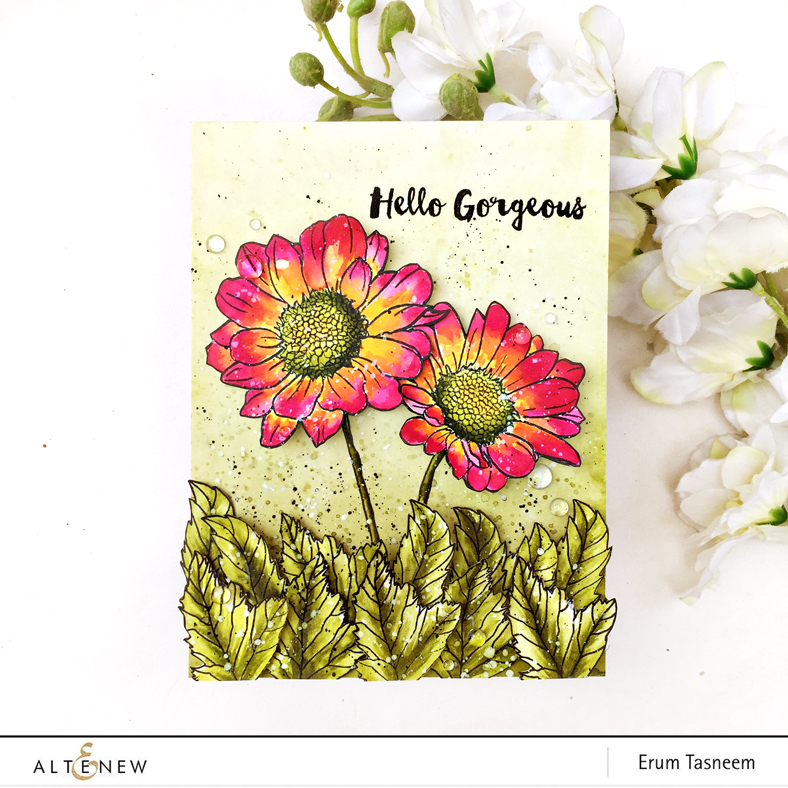 I will be sharing one project today featuring the Spring Daisy Stamp Set. 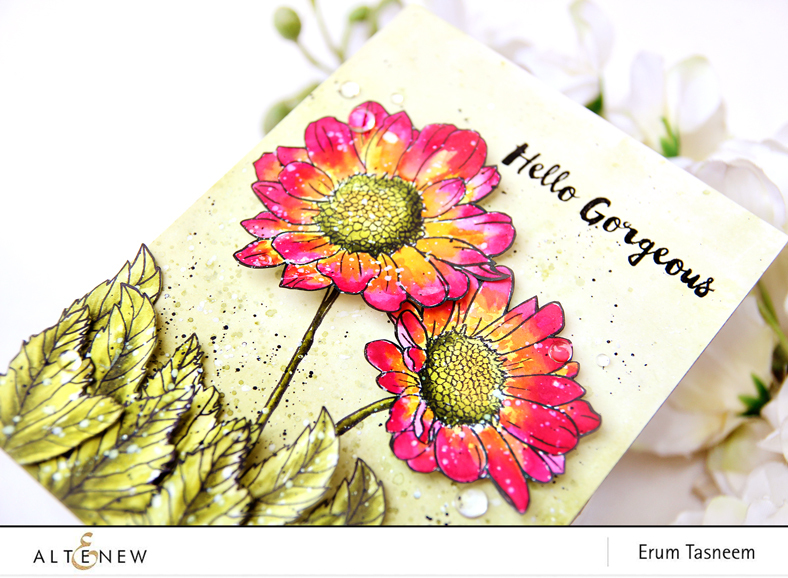 The colours I used on my card are Rubellite, Warm Sunshine, Limeade and Moss. I have not used watercolour brush markers before so this was something new to me. I can't compare it to any other makes out there but I quite liked them. They are super vibrant though, I diluted the colours on my card but they still look very vibrant. This means a little goes a long way! I will be giving out a $20 gift card to one of you, all you have to do is leave a comment on this post and I will announce the winner on 10/9/18. The next stop on the hop is the lovely Lydia. 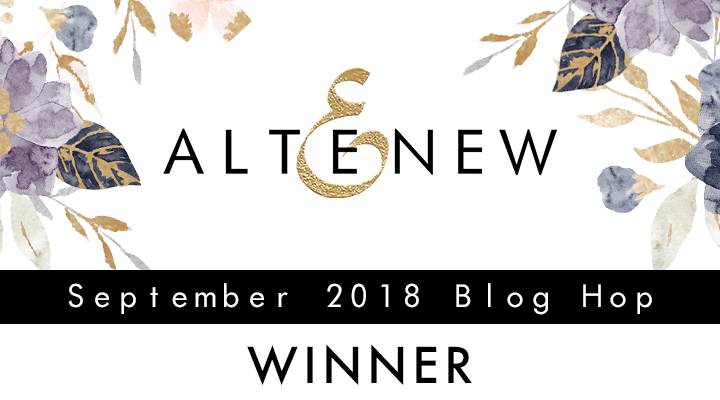 Please email winner@altenew.com with to avail your gift certificate by 10/15/2018.